As you will want to change your Pagekit website’s logo or Title, you will need to do so via the General Settings in the back-end of the website. 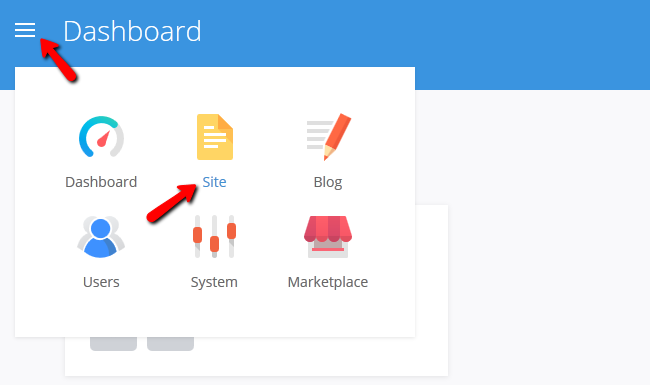 Login to your admin dashboard and select the Site menu. Now access the Settings>General section. Here you will be able to change the title for your website. You can also change the logo, favicon and appicon by clicking on them and hitting the Upload button if you haven’t added the images to your website yet. After you have uploaded the desired image, check it and click on the Select button. When you are done editing the General Settings for your website, click on the Save button located at the top right corner of the page to save the settings.